The project is located in northwestern BC at the southern end of BC’s “Golden Triangle” approximately 50km southeast of Stewart or 125 km northwest of Terrace. The project lies in an area of abundant mineral wealth as demonstrated by the Seabridge KSM porphyry copper gold deposits, the newly opened Pretium Brucejack gold mine, the IDM Mining Red Mountain gold silver deposit, the Homestake Ridge gold silver deposit and the Dolly Varden silver deposit. Active exploration is ongoing on these and many other projects in the southern portion Golden Triangle. 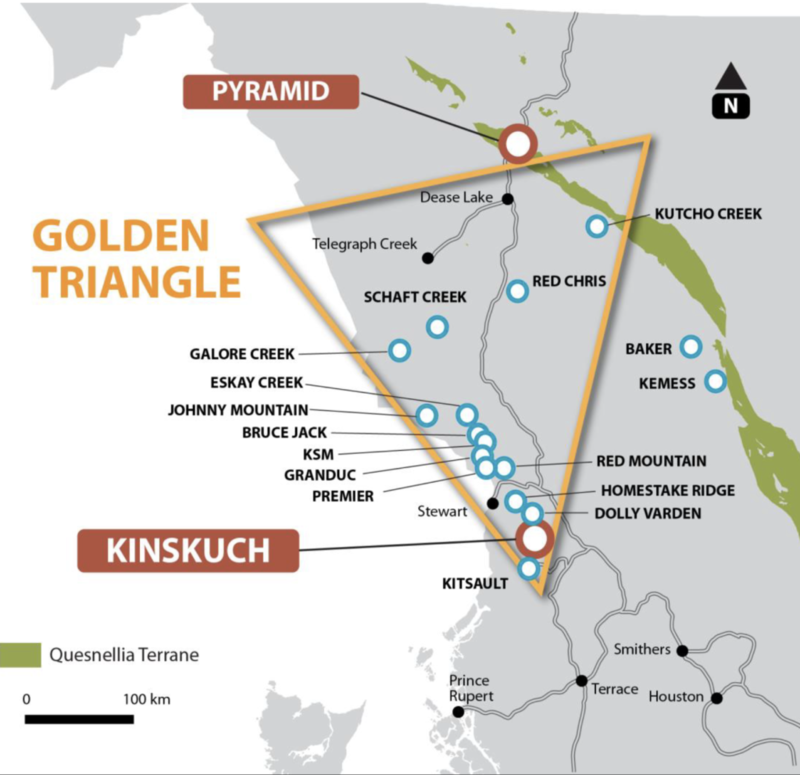 In August 2016, the Company acquired from LCT Holdings Inc., a 100% interest in 7 claim (3025 ha) Kinskuch Lake Project; a Cu-Au porphyry prospect located at the southern end of BC’s Golden Triangle. In 2018, the company commissioned a model of the Kinskuch Lake property showing how the geology and mineral targets have improved. The video attached herein explains the changes from the old geological mapping to the new work completed by Norra Metals since 2016. In addition, the video demonstrates the potential of the Kinskuch Lake property to host a Cu-Au porphyry based on past work, including limited drilling, and outlines the proposed four-hole diamond drill program recommended to test the porphyry at depth.